Listed below are some of our favoured Ireland Golf Vacation Itineraries. Prices for Ireland Golf Vacation options are included per individual sharing for each tour chosen. If you need extra facilities please contact us for details. Extra charges may also be incurred. All prices are in Euros. 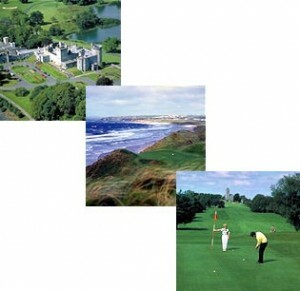 Our golfing visitors enjoy this selection of Ireland Golf Vacation options. Many return year after year.. However, ff you would like to Tailor Your Itinerary to suit your tour, this can be done too. Simply fill in the Quotation Form and select the golf courses of your choice. If you decide to Tailor Your Itinerary, Ireland Golf will personally take care of booking your tour. Accommodation providers and golf courses we have access to are the very best. We offer the opportunities which suit you. Contact Us now and begin planning your Ireland Golf adventure! To play golf in Ireland contact us now. 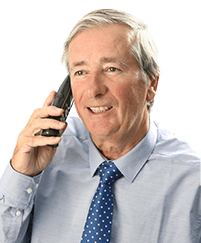 If you would like to play golf in Belfast, Dublin, Cork or Galway – just contact us now. The best Golf courses and all of the best tee-times to suit you are available. Booking early, you will get the best availability and also maybe the best prices! While the dollar is strong you can book your Ireland Golf Tour dream trip and let us take care of all of the work. The stronger the dollar, the more you save – with Ireland Golf Travel. Book now for 2018 and plan your vacation golf in Ireland now – we can’t wait to meet you!